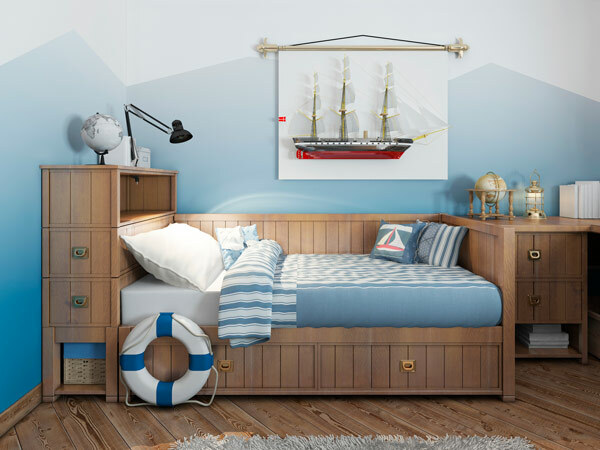 11 Fun Ways to Paint a Kid’s Bedroom - GNH Lumber Co. 11 Fun Ways to Paint a Kid’s Bedroom - GNH Lumber Co. 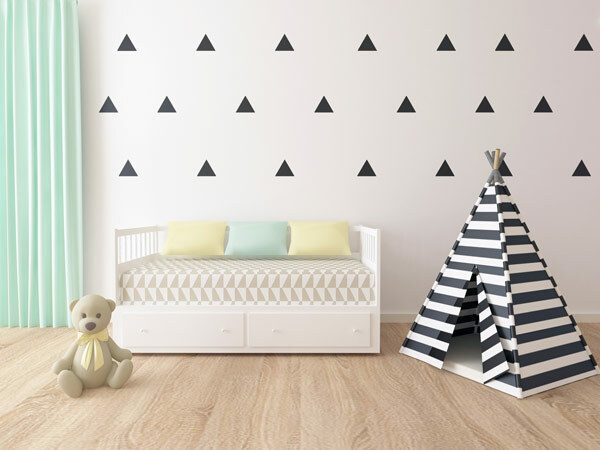 Using pastel colors will fade the walls out of notice even further, and allow for extensive style changes as your child grows, without the need to repaint. Consider pale yellows, blues, greens, and tans. Just a hint of friendly color, to last an entire childhood. Pastel sound too boring? Go bold! Keep the simplicity of one solid color, but add a bit of personality. 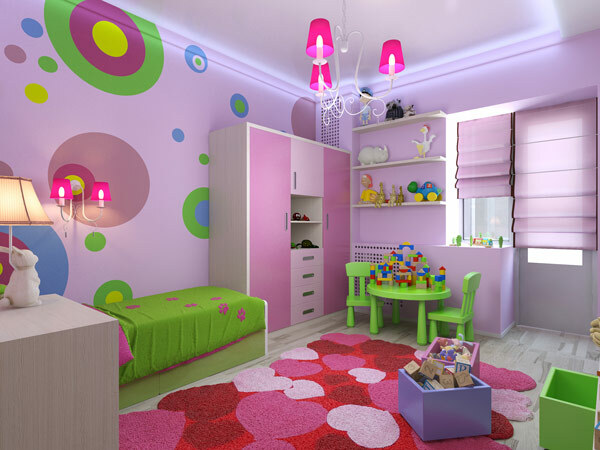 Bright yellow, orange, blue, purple, pink… what kid wouldn’t love a bedroom painted their favorite color? Add interest to the room by breaking away from the idea of a single, solid color. Painting a single wall in a second color doesn’t take much extra work. Just be sure to let the first, lighter color dry before taping the corners and adding the second color. Best used as an accent wall, chalkboard paint will extend the fun long past the initial paint job. If your kid likes to write on the walls, now you can let them! Alternatively, an entire room can be painted in chalkboard paint. Just be aware that the end result of this is black walls. Think carefully about how dark or bright the overall effect on a room will be before committing to dark-colored walls. Allow your child to help paint their bedroom. With a drop cloth on the floor and tape or plastic over everything you don’t want painted, even a five-year-old can be allowed to help. Dress your child in an oversized shirt you don’t mind getting messy, and let the fun begin! The image of your child with a paint roller a little too scary for you? Give them a smaller project: the light switches. Light switch covers can be removed from the wall – you may even have done so already, to more easily paint around them. Set your child up with the switch covers and their own paints, and they can design them however they want. Once finished, make sure the paint is dry and the switch openings clear, then screw them back in. Another great way to get the kids involved is by sponge painting. Prepare the wall with a base coat, then let your children join the fun of sponge painting. Natural sponges work best, though you can use any porous sponge. Mix the paint color of your choice with glaze – usually one part paint to four parts glaze – and begin dabbing the paint over the base color. Experiment first on a piece of cardboard, but when you’re happy with the effect it’s time to start the walls. For the best results, start in an upper corner of the wall, but if your child can’t reach let them start where they want. The best part of sponge painting is how easy it is to redo – just go back over an area with a different color. If only using two colors, this means mixing a little of your base color with glaze as well, to allow sponging over areas where your second color is too thick. You don’t have to be an artist to add images to the walls of your kid’s bedroom. Use stencils, which can be bought or homemade. For homemade stencils, cut a shape out of paper or cardboard. For smaller images, you don’t have to draw anything: you can print from your computer and then just cut along the outline. Attach the stencils firmly to the wall before painting. For larger images, you can even trace the edges and let your child fill in the rest. An alternative to stenciling – if you have a steady hand – is projection. Project the image you want onto the wall, and trace the outline. Then turn off the projector, and fill in within the lines. Kids can help here too; you’ll have turned the whole room into a coloring book. A variant of using a projector is to use shadows. Turn off the main light for the room, and turn on a bright lamp or flashlight pointed at the wall. Then ask your child to pose in front of it, perhaps pretending to do their favorite activity and trace their shadow! You can get as creative as you want for this, even bringing in props. A kid’s bedroom can also be a chance to enjoy a real work of art. 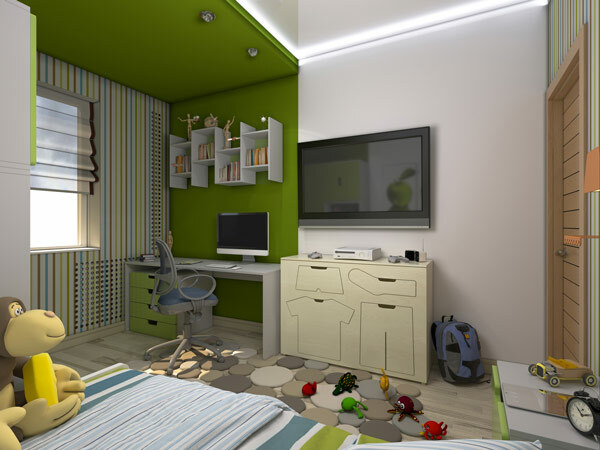 If you, your child, or another family member or friend has artistic talent, consider the opportunities for a truly unique bedroom. It doesn’t have to be too time-consuming. A single accent piece can add a lot of interest, without taking weeks to finish or making you reluctant to cover the walls with furniture. An accent image or design can be as unique as the child whose room it appears in, but some possibilities to consider are a tree in one corner, vines around a window, or a spaceship on one wall. When painting a kid’s bedroom, you’re not limited to colors and images for accents. You can also use words. Consider a favorite poem or saying, or the opening lines of a favorite story. Letters can be stenciled or hand-drawn; for more stylized fonts you can even use a projector. Feeling ambitious? You’re certainly not limited to a few accents. Many kids enjoy having a themed room. What does your child enjoy the most? Can you create a bedroom that reflects this theme? A kid who loves mermaids could have a room with sponge-painted walls in blues and greens, with stenciled fish scattered over the walls and a mermaid painted on one wall. A kid who loves soccer could have a soccer net painted around a window, and the outline of themselves kicking a soccer ball traced onto the wall. Are you all in? Imagine your kid’s bedroom as a sprawling mural that covers all four walls and maybe even the ceiling. If you have the time and talent to do this yourself, go for it! If not, it may be possible to hire someone to help. Are you looking for guidance or suggestions for your next painting project? The experts at GNH Lumber are ready to help at each step of the process! 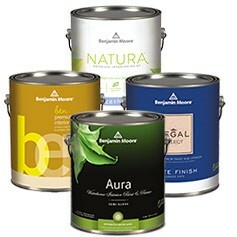 Visit our website to browse premium paint and painting supplies, like Benjamin Moore Ben Line paints.